In aromatherapy, lavender is often used for its ability to calm and evoke feelings of peace and relaxation. 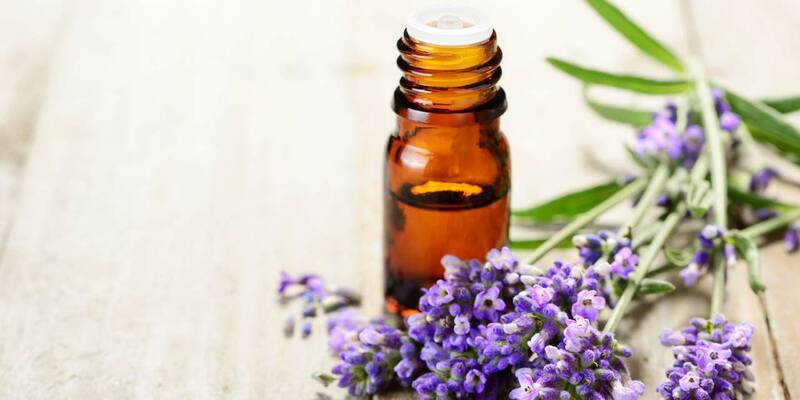 Lavender essential oil can have many applications for physical and mental health, and there are some things to keep in mind for its safe usage. Lavender is a plant with purple flowers that grows best in sunny areas. It comes in several varieties, including annuals and perennials. Lavendula angustifolia is the most commonly grown variety today and the one that most lavender essential oil is made from, though it is made from other species as well. Lavender grows in many areas of the world today, but it originally grew in northern Africa. Ancient people used lavender in their baths, as perfume, deodorizer, and in spiritual applications. Both lavender flowers and leaves have been used in cooking and baking and to make tea and honey. Lavender was used by people in the Middle Ages when they hoped it would protect them from the Plague, and lavender essential oil was used during World War I to disinfect wounds. Essential oil is made from lavender by steam distilling it. Steam is passed through the lavender flowers, gathering their oils, which then condense out in a highly concentrated form. Lavender oil contains over 150 active compounds including linalyl acetate, linalool, cis-beta-ocimene, and terpinen-4-ol. Lavender is probably the most widely used essential oil. What Are Lavender Oil’s Uses? Topically, diluted in coconut oil, to soothe various skin conditions, including fungal infections. Inhaled or used in a diffuser to help create calm and peaceful feelings and decrease stress. Combined with baking soda and a small amount of castile soap to make a natural scrubbing product. Added to Epsom salts to create a bath bomb. Add a few drops to some distilled water and a little witch hazel in a spray bottle to make a room deodorizer and linen freshening spray. Diluted in coconut oil and applied to the bottoms of the feet at night for soothing. Essential oils are powerful and must be treated with respect. Keep them out of the reach of children and pets and ask your doctor whether you have any medical issues that might make lavender oil unsafe for you to use. Start with low amounts and go slowly to determine how your body reacts. The information on this page is meant for general information only, not as individual treatment recommendations. Care should be taken with the use of any essential oil. We don’t recommend ingesting any essential oil, and they need to be kept out of reach and locked away from children and pets. Dilute with coconut, olive, almond, or other oil before applying lavender oil topically. Using “neat,” without dilution, increases the risk of skin irritation. When diffusing, use only a drop or two in a full diffuser, and diffuse for 30-60 minutes at a time. Do not use on or around young children. If used around pets, be sure they have a way to leave the area if desired, keep the bottle and the diffuser out of reach, and don’t apply directly to the pet’s skin. Pregnant and nursing women should consult their doctor before using this or any essential oil. Some research indicates that lavender oil use in boys can mimic estrogen and potentially cause gynecomastia, or breast growth. People can be allergic to lavender oil, which can result in mild or severe signs, including anaphylaxis. Be sure you are using pure essential oil, not fragrance, which contains many other ingredients. Care should be taken when using lavender oil if you take medications with sedative effects because the lavender oil may enhance those effects. Consult with your doctor. I bought some lavendar oil and planned on just adding drops to my skin. Glad I came across this article while waiting for my oils to arrive by mail. I wouldn’t have diluted them. Thanks for the tip.